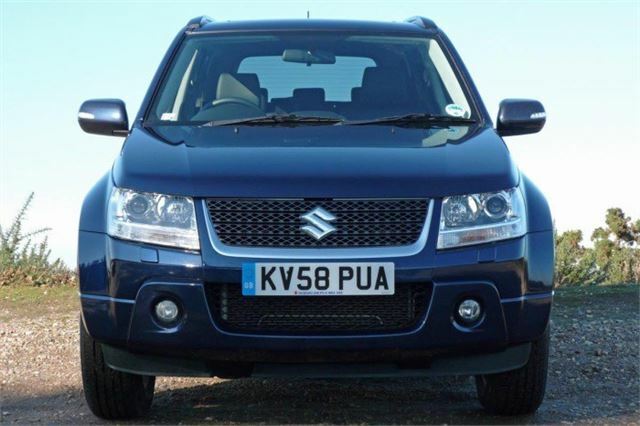 Two years on from my first test of a pair of Grand Vitaras, a 1.6 petrol SWB and a 1.9 diesel LWB, Suzuki sent me its new 2.4 ‘silent chain cam’ petrol Grand Vitara to complete the hat trick. 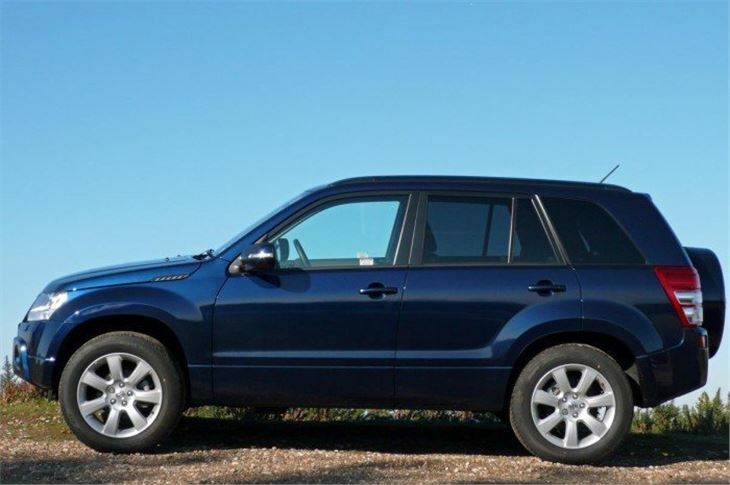 You can actually get this new engine in both sizes of Vitara. And with a 4-speed automatic transmission that still keeps the CO2 under punitive tax bands. Emissions are actually slightly lower than the old 2.0 litre petrol engine. The car has had a mild facelift (it wasn’t showing any wrinkles). The front end is slightly different, door mirrors now incorporate side indicators, and there are some extra touches of ‘quality’ inside, such as grey wood inlays to the dash. The 6CD player radio now has MP3 compatibility. The 5-door version is now on 18” wheels with 225/60 R18 tyres. 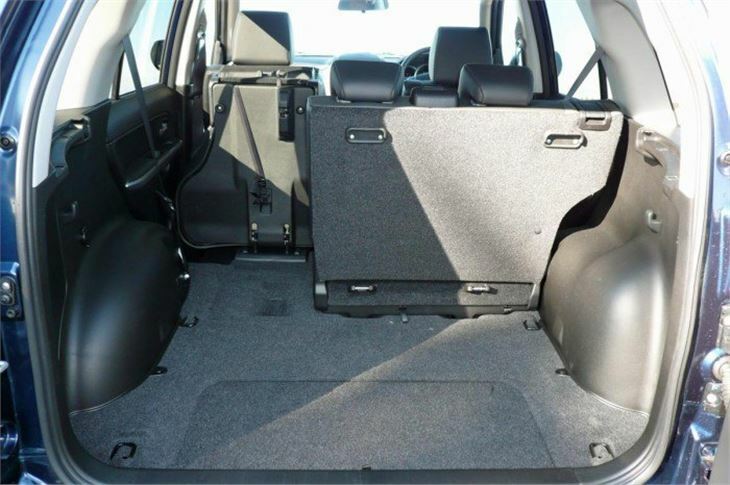 All keep their full 4WD functions of selectable 2WD, 4WD high range, 4WD high with locked centre diff, and 4WD low range with locked centre diff. So it’s a serious off-roader if you need it to be. Gearing of the 5-speed manual worked out at about 23.5mph per 1,000rpm giving a 3,000 70mph cruise. It will tow 1,850kg. From memory, ride quality and handling both seemed to be improved and the car is as comfortable on the motorway as it is going to the shops. 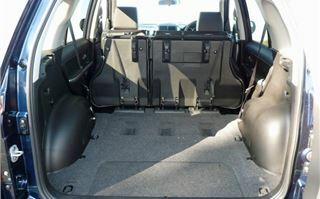 Reclining rear seats in the LWB help here. 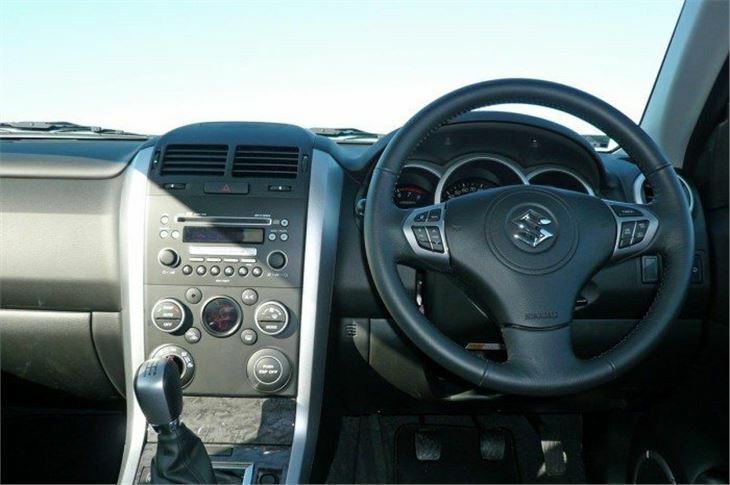 So does cruise control that is very easy and intuitive to operate from buttons on the steering wheel. Over around 300 miles I averaged 29.1mpg. With so much competition in a niche market that has grown into a canyon, the Grand Vitara won’t sell in large numbers so has exclusivity on its side. 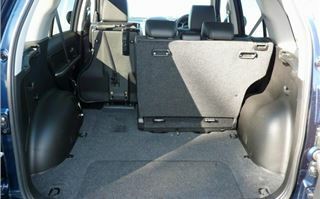 And the fact it remains a proper off-roader for situations where a centre diff lock and low range are needed. 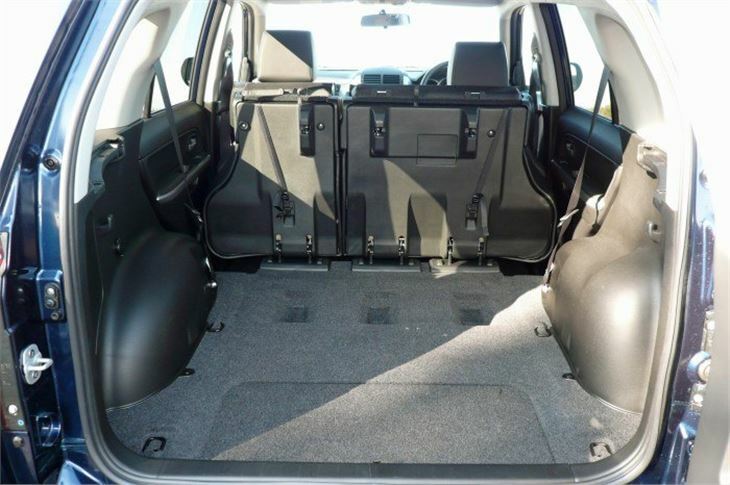 Buy one and you could find yourself hauled into towing the neighbour’s Tiguan out of a snowdrift this winter. 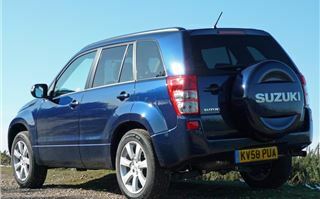 SWB Grand Vitara 1.6 petrol Road Test. 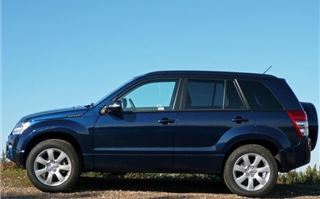 LWB Grand Vitara 1.9 diesel Road Test. 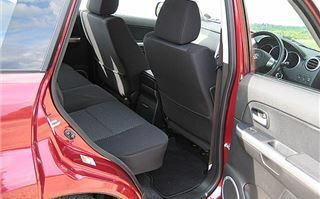 For prices, availability, specifications, powertrain details, dimensions, and performance figures please click the tabs.